Mawa Jalebi, is one of the delectable Indian sweets which is prepared with homemade mawa aka popular milk solids. Milk solids/khoya/mawa, whatever you name them is one of most interesting ingredient which is quite often used in Indian cuisine especially for making some delightful milk based sweets. Traditionally milk solids are prepared by boiling full fat milk for hours to yield nice quality of mawa. However nowadays short cut version or cheat versions of Mawa do exists. Yes cheat version of mawa calls for full fat milk powder and cream. Both once mixed and cooked until they turns thick makes some quick version of mawa. Coming to my today's post, this is definitely a must try sweet dish from Madhya Pradesh, yes Mawa Jalebi is one of the most known sweets from this region. Traditionally this sweet is prepared during Raksha bandhan, diwlali etc. 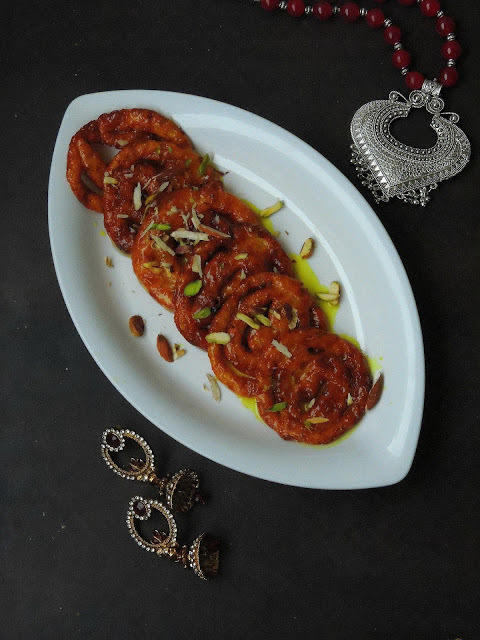 Mawa Jalebi is definitely a fabulous sweet dish to prepare at home to share with your family and loved ones for special occasions. One more savoury to make without any fail for the upcoming festival of lights is this Potato ribbon pakoda aka ola pakoda. 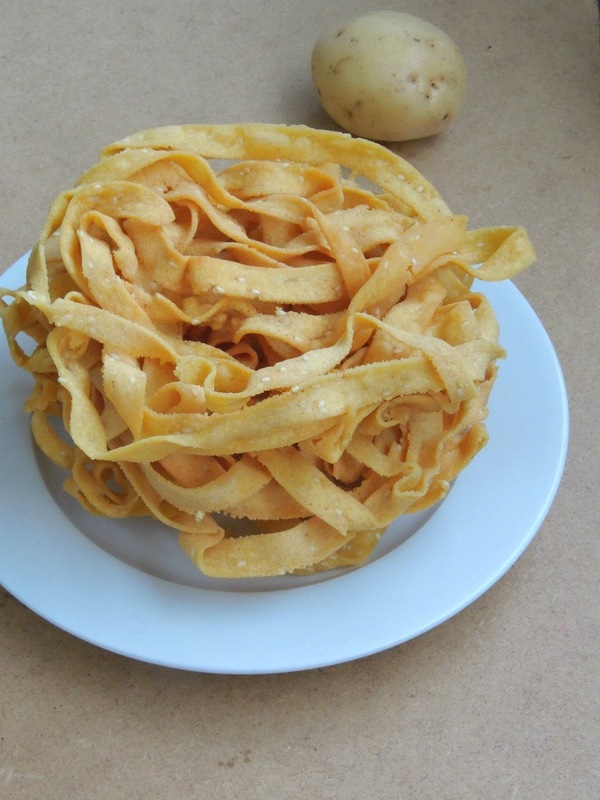 After murukkus, ribbon murukku is a must in our Diwali savory list as we love to munch varieties of savouries. Ribbon murukku, is also known as naada murukku, ribbon pakoda, ola pakoda is a variety of murukku which is often made in Tamil Nadu especially for Diwali or Janmasthami in most of the houses. This murukku is called as ribbon murukku as its ressembles like nada, ribbon or string. 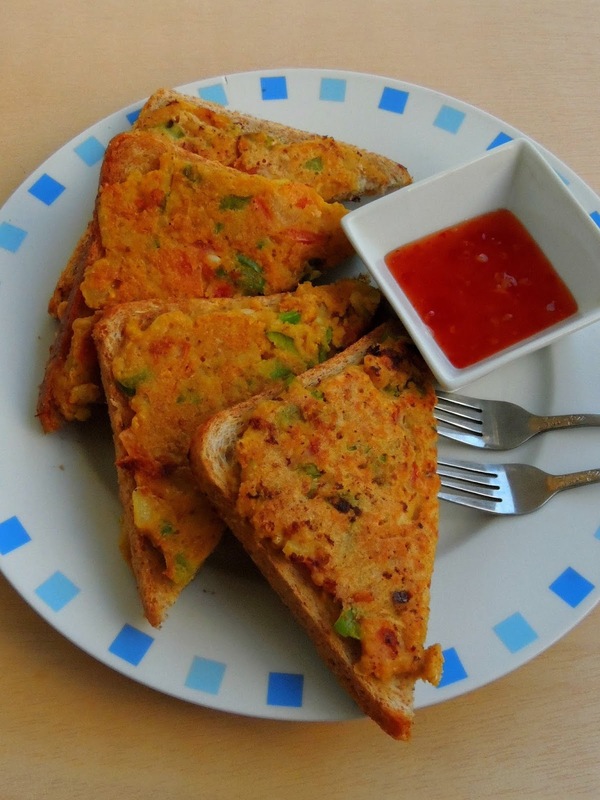 And the main ingredients for making this crispy snack is rice flour and gram flour. Apart from it, various spices like chilli powder, cumin seeds, sesame seeds,asafoetida are added to this murukku dough to bring the flavor. As much as like other Murukku varieties, this murukku also calls for a special nozzle which is often available along with the Murukku maker. If you have already tried your hands with Cashew murukku like me, you will definitely love making this almond murukku. And here comes my own version of almond murukku with a spicy almond paste. Usually murukkus are prepared easily at home with less efforts. 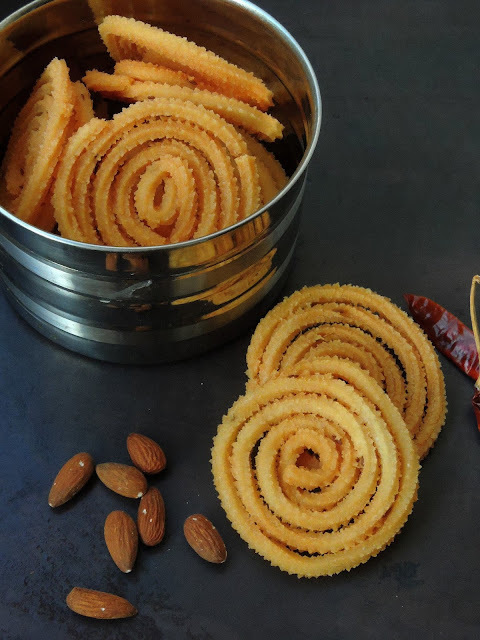 And this almond murukku is prepared with store bought rice flour, roasted gram flour which i simply spiced and flavored with a grounded paste of soaked almonds and dry red chillies. Though i used almond paste for making this incredible murukkus, you can still replace the almond paste with almond powder which suits prefect to make this dangerously addictive murukkus. 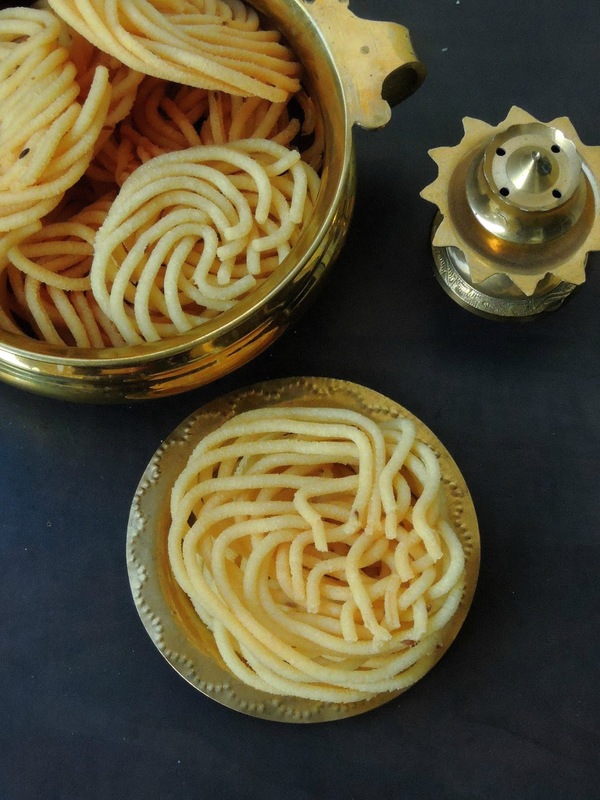 With Diwali in a week, dont forget to check this incredibly delicious chaklis to celebrate this year's festivals of lights. 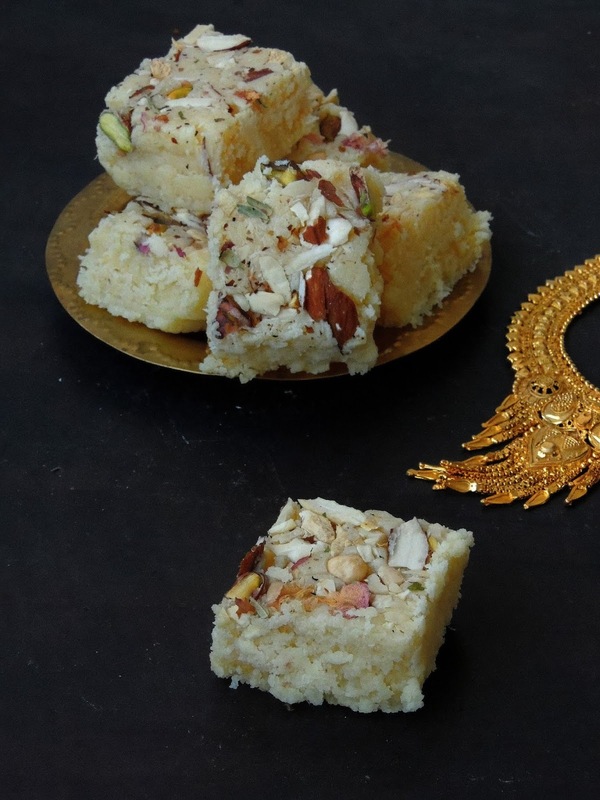 Burfi is definitely a tasty Indian sweet recipe which is very much often cooked during many festivals and occasions. Though burfi can be prepared with different combination of flours or ingredients, its quite an easy sweet dish which can be prepared with an ease. Mawa or khoya which is a popular milk solids quite often used in many Indian sweets. Mawa is easily available in India though its quite an hard task for me to get them fresh as much as like we get in India. Obviously i will prepare mawa at home with full fat milk or else an another popular cheat version prepared with full fat milk powder and heavy cream. Trust me, this full fat homemade mawa works amazingly awesome for many delicious milk based sweets at home easily and quickly. Have you ever tried murukku/chaklis with Tapioca/Cassava which is also known as Yuca, Manioc,a known popular nutty flavored, starchy root vegetable or tuber. And its cultivated throughout the world from which flour, tapioca pearls are produced. Indian especially South Indians make many delicious dishes out this tuber. I love this root vegetable very much and i love to dish out Tapioca Chips quite often. However this tuber is often used in my cooking. Diwali is around the corner and this year i was planning to prepare some different savouries and sweets to please my family and my near ones. Diwali is a popular Indian festival which i never fail to celebrate even my professional life keeps me busy. And this year, diwali is on 6th november and fortunately i will be at home. So planning so many dishes to prepare for this festival. Diwali is around the corner and everytime i will keep on looking for this festivals of lights to celebrate at home with my family. Again this year Diwali falls on a week day, but fortunately we are in fall break here. Hence this year's Diwali is going to be more fun than last year. Actually am planning to make couple of sweets and savouries for this occasion. I usually make laddoos with besan boondis which is quite a popular diwali sweet. Boondi laddoo calls for deep frying and sugar syrup to dish out these ultimate cuties. However easy version of Besan laddoos do exists and one among those easy laddoos is my today's Besan Badam Laddoos. 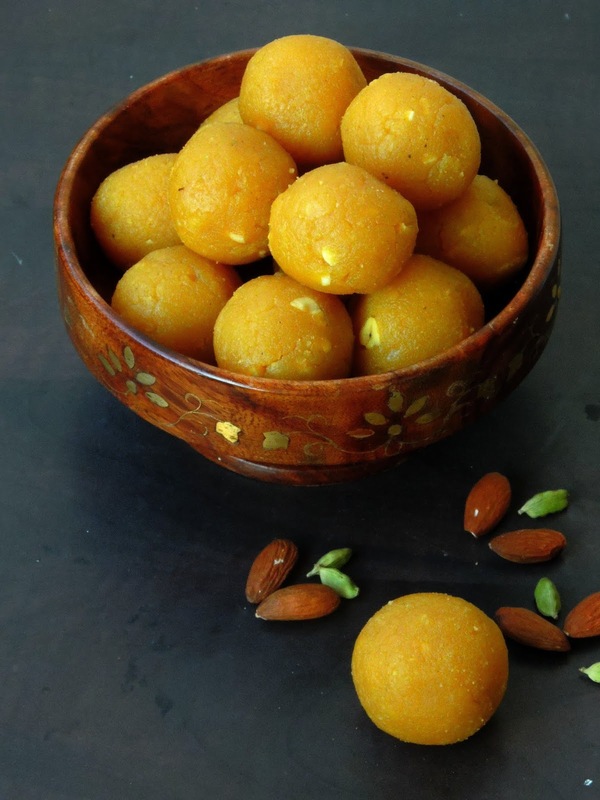 One of the easiest laddoo i have prepared till today and quite a delicious one to share with your family and loved ones. Far Breton is a flan type cake from Brittany region of France. Apples, Raisins or Dried prunes are usually used for making this traditional cake, and its quite an easily and simple cake with easy available, pantry friendly ingredients. I am a great fan of this cake and i love to make this cake while my fruit baskets have apples abundantly. Its quite an easy cake to finish some apples quickly than dishing out some apple sauce with them. 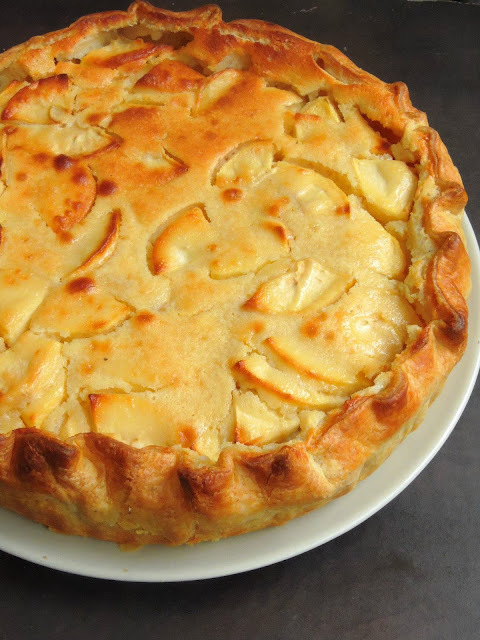 Kids will definitely enjoy this fabulous cake and its one of best way to sneak apples this way. Am allergic to apples and i cant eat them raw. Obviously i have bake or cook them before having. If i want to have enjoy apples for an aftermeal dessert, i cant think more than baking some baked goodies with this fabulous fruit. Apples are showing their heads in our local farmer's market. Apple is a Fall season fruit for us, and we get varieties of apples in our markets. 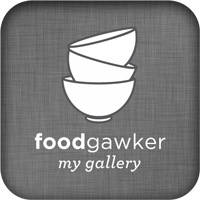 I love Golden apples very much and they works awesome for making any sort of dishes with them. Sweet potatoes are easily available for us during the fall and winter season. Whenever sweet potatoes shows their heads in my local farmer market i dont forget to get them as i love to bake some delicious bakes out of them. Not to forget that sweet potato are just fabulous to make our Indian style curries as well. Sweet potatoes makes some delicious, super moist cakes, do you know that, if not dont forget to check my Potato Chocolate Cake which is completely eggless, as mashed sweet potato replace very well eggs. Obviously you can make even some delicious vegan cakes and bakes out of the them. Hence i tried my hands to bake this dangerously addictive and super soft muffins with both sweet potatoes and chocolate chips. Dont forget to bake this extremely soft muffins if you get sweet potatoes abundantly in your place. 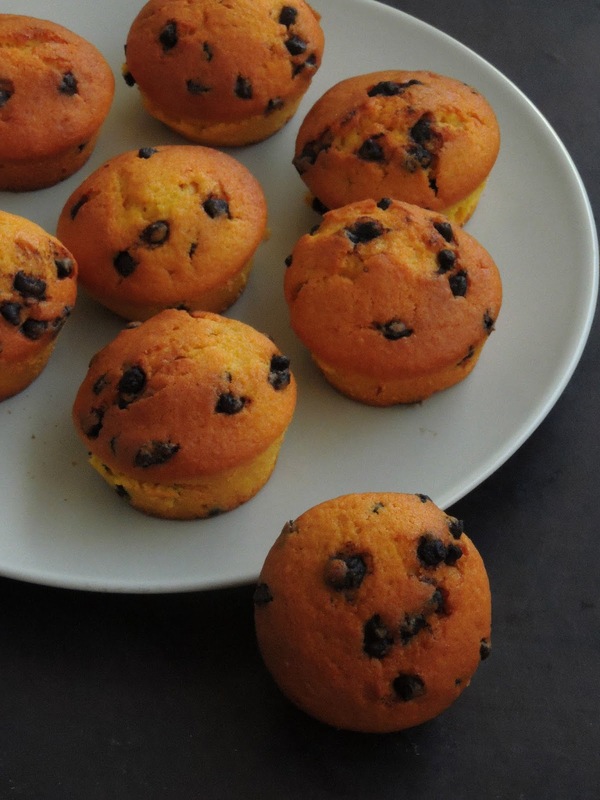 These muffins are extremely delicious, to serve either for breakfast or as dessert after a meal with a scoop of ice cream or simply for an evening snacks. Fall season is here, obviously summer fruits and vegetables are very rare in local farmer's market. Finally Fall season vegetables and fruits are showing their heads now. I just love fall seasonal fruits and vegetables, especially the squashes. We do get varieties of squashes and i will never fail to buy them from local farmer's market. My recent visit to farmer market pulled me to grab some seasonal vegetables. Yes i came home with some butternut squash, sweet potato and succulent juicy apples. Obviously i prepared some delightful dishes out of these fruits and vegetables. Here comes one among those dishes i have prepared with butternut squash. Butternut squash is one of my favourite squash after pumpkins. I usually prepare soups with this squash though they are seriously versatile and works awesome to make even our Indian style of curries and gravies. After some soft pancakes from Somali and a bowl of comforting soup from Sudan, my today's post is from Spain. Yes my theme for this week's blogging marathon is Pick a Alphabet,3 Countries as theme, and i picked 'S'. Hence i grabbed a popular Antequera bread rolls aka Molletes for this theme.This Molletes are super soft and delicious bread rolls which is typically served for breakfast or for a afternoon tea. And this bread is originally from Antequera which is just 30kms from Spain. Mollete is also a typical food of Mexico as well, and its consumed as a open sandwich. However this Spanish Mollete is a piece of a soft crumb bread which is quite known as an Andalusian breakfast bread which is quite like a star product of this region after Olive oil. 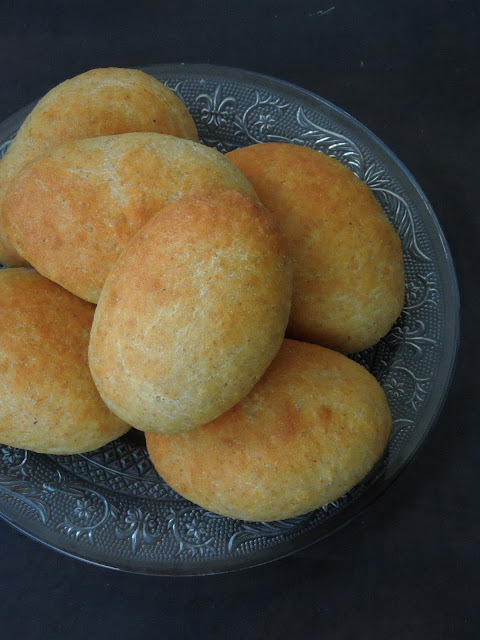 The typical way of having this bread is to serve with olive oil, salt, tomato and garlic. Usually they are eaten as split, drizzled with olive oil, salt. If you want to make more filling, dont forget to add some sliced tomatoes and chopped garlic cloves to tickle your tastebuds. Soup, this dish have their own place in our daily meal once the weather starts too cold or rainy. We are in fall season and obviously the weather keeps on changing everyday drastically. Recently we had a super chilled morning with a super hot sunny evening. Yes you heard me rite, we dont even know how to dress ourselves. Obviously i couldnt keep my summer dresses away as Sun god is showing his head once a while. However the weather will get chilled progessively as we are in Autumn. Soups are definitely a satisfying and comforting meal to keep ourselves warm. I love dishing out soups as they are quick, nutritious, healthy and just prefect to please anyone's tastebuds quickly. 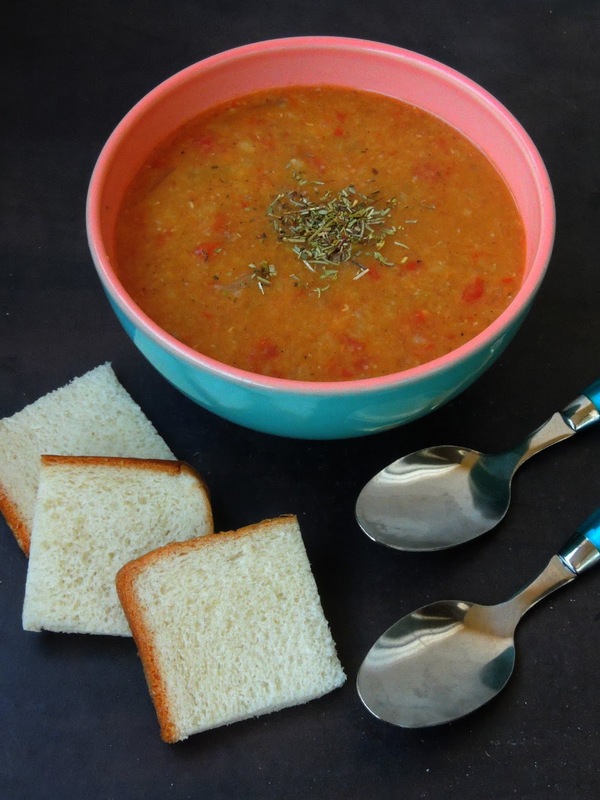 And my today's post is definitely a fabulous soup to give a try without any fail. This gluten free, vegan Red lentils soup is a hearty and healthy soup to prepare at home without any hesitation as this soup calls for simple and easily available ingredients. If you are looking for a different, flavourful and easy breezy breakfast for your weekdays or some fabulous crepe like pancakes for your brunch, you should take a look to my today's post. 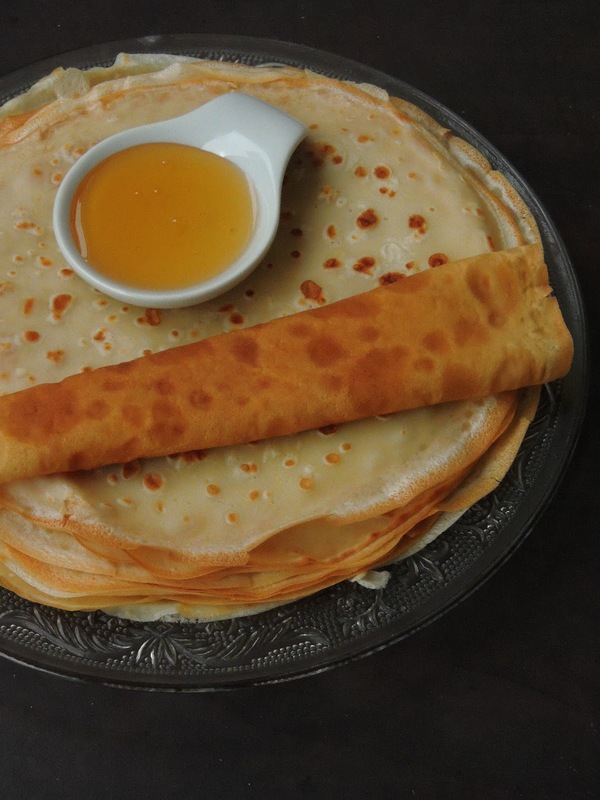 Malawah, is a simple sweet crepe like pancakes prepared with flour, egg and sugar along with milk. These are basic ingredients for Malawah, however many variations do exists. 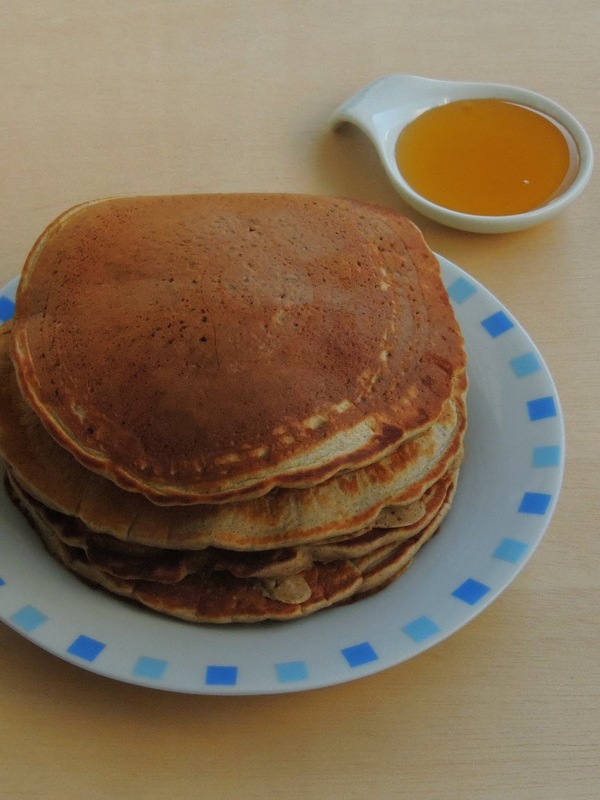 But i grabbed this pancakes from Somali Kitchen where the author used cardamom powder to bring the flavor to this dangerously addictive pancakes. I have a small story behind this Malawah, yes actually while i was looking for International flatbreads for September mega marathon, i crossed this Malawah. Honestly my first choice for the september's theme was pancakes or crepes from various parts of the world.Obviously i bookmarked this crepes but unfortunately i changed my theme to flatbreads as i had hard time finding some alphabetic letters. However i seriously want to try this Somalian pancakes very soon as possible as i have some ardent crepe lovers at home. Sago or sabudana, much known as Tapioca pearls which is very much used in South Eastern Asian countries. 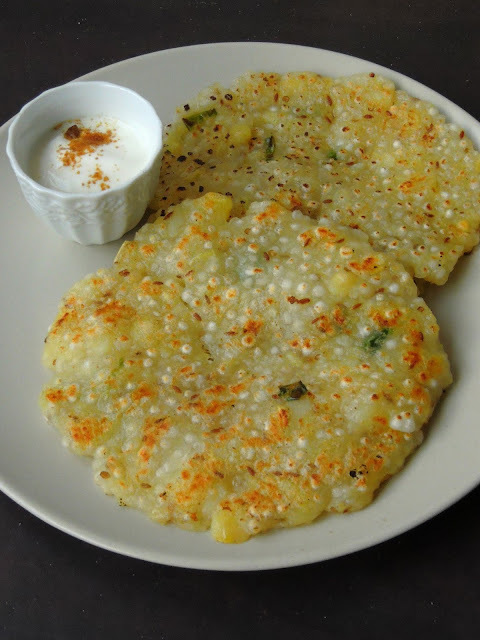 Sabudana Thalipeeth is a popular Maharashtrian snack dish which is made during vrat, upwas or fasting. Sago pearls are widely used and consumed during fasting. 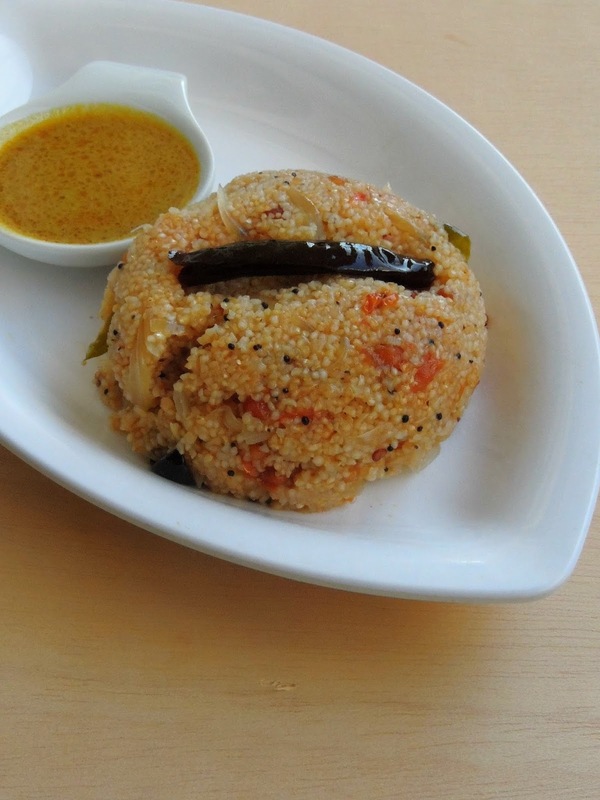 Thalipeeth is prepared with soaked sabudana, mashed potatoes, crushed peanuts, cumin seeds, grated ginger and salt. And it is cooked with ghee or butter until they turns golden brown and crisp. 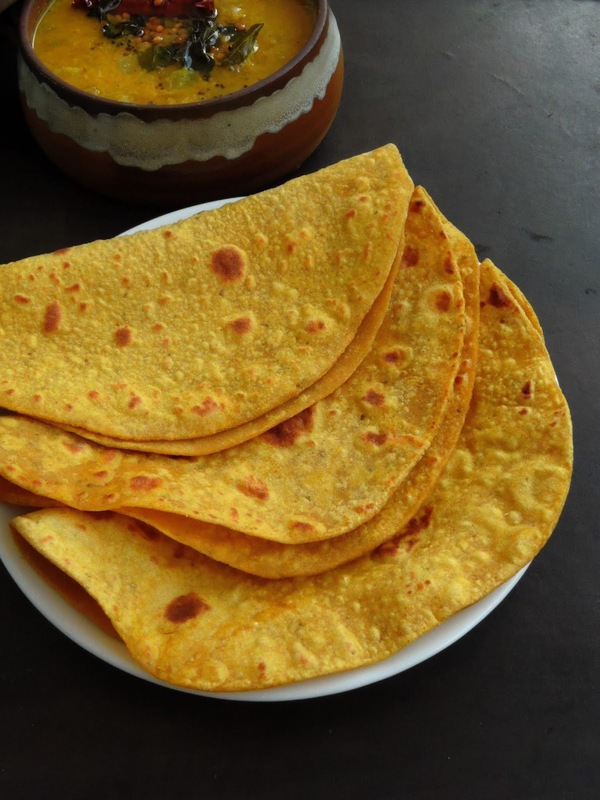 However thalipeeth can be prepared with multigrain flours which includes with bajra, sorghum, channadal, urad dal, rice, wheat etc. But this Sabudana thalipeeth is completely a different one which doesnt call for any flours in it.This thalipeeth is completely gluten free, yes sago is extracted from sago palm trees especially from their stem. Every year we plan earlier to blog for both April and September, as these two months calls for a whole month of blogging marathon. Do you know the brain child of blogging marathon Srivalli of Spicing your Life plans everything very earlier than you can imagine. Trust me we have already decided for April 2019's theme and we even got a mail regarding for next september theme. See how we guys are addictive to a month of blogging marathon. Planning a month of blogging is definitely a hard task if you are not a home maker. Obviously in my case, i have to plan everything earlier. For the month of September 2018, i started cooking three months back as i have listed out my International flatbreads since a long back. Hence i could finish this month's Mega marathon without any hassels. 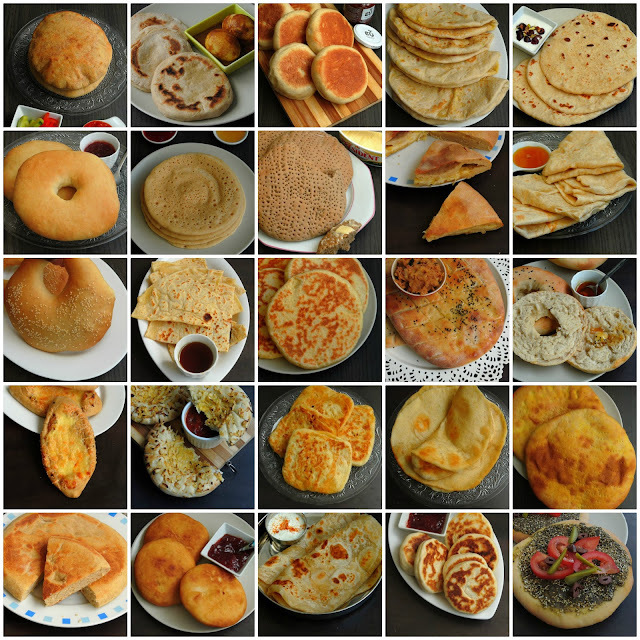 You might have noticed that i have been posting 26 different flatbreads from different parts of the world during this whole month of September. Though its was not that much easy for some Alphabetic letters, google master helped me a lot and finally i finished 26 days of blogging marathon successfully. 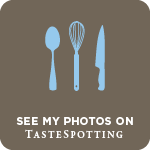 Hence am proudly sharing a recap of what i cooked and blogged for the past one month with A to Z International flatbreads as theme.